It is amazing how making creams at home saves money in the long run. I like that by making DIY diaper cream for my children that I can prepare it in a large batch and customize it using essential oils to best support my children’s skin. 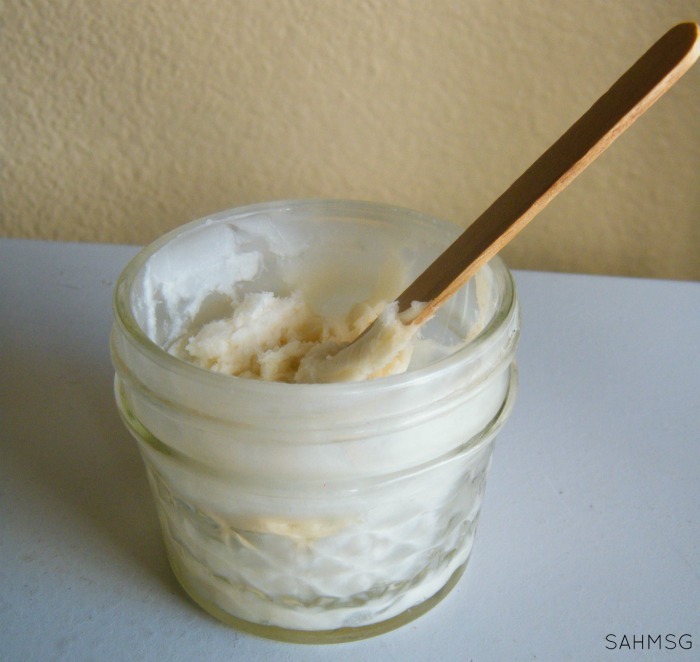 This DIY diaper cream is very similar to the Luxe Night Cream I shared. It is thick, luxurious and very moisturizing. We keep the diaper cream in a jar with a simple label so that there is no chance of forgetting which part of the body it is used on! I started making DIY lotions and creams when I began using essential oils in my home. What a difference they have made overall in our lives! It is amazing when I started eliminating the harmful chemical creams, cleansers and cleaning products how much better I have felt. I want my children to develop healthy habits, and by exposing them to all-natural creams and lotions like this DIY diaper cream, they are learning how to make their own lotions and creams, use them safely, and save money. This cream gets its smooth, silky texture from the shea butter. I used the exact same recipe for my version of a DIY Night Cream. I buy my shea butter from Amazon. You really can play with the amounts of shea and coconut oil to get the texture and thickness you want in your diaper cream. I make a large batch of this cream as a base and store it in a bowl with lid so I can scoop out more cream, add my oils and always have night cream or diaper cream on-hand when needed. The version I made here is thick. It is so nice for keeping my babies’ delicate skin protected in that diaper area. 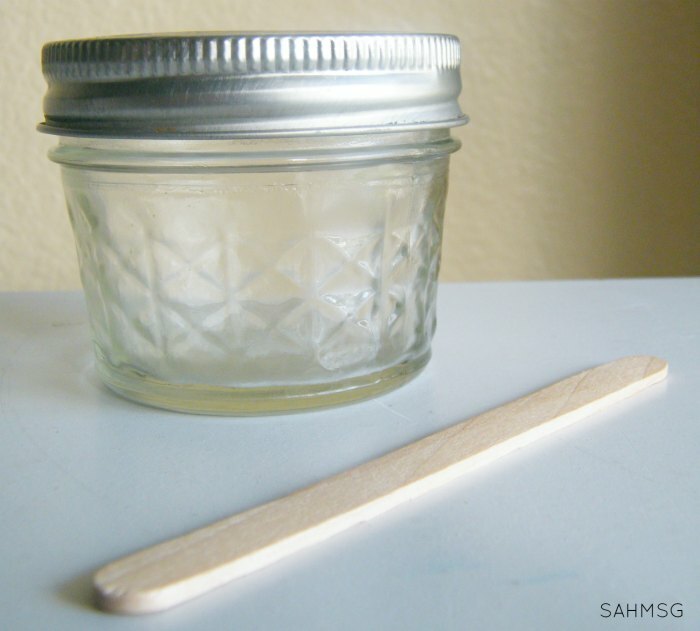 I simply pour my cream base into the glass jar, drop in my essential oils, and stir it all together with a craft stick. You can even make this as a baby gift which I just did as well with a few other essential oils goodies. Lavender and Frankincense are known for how well they support the skin, but two oil blends that would be great for this DIY Diaper Cream are Young Living’s Gentle Baby blend and German Chamomile essential oil. These oils are known for their supportive qualities to our body’s largest organ-the skin! I have used these oils on my children’s skin with great results, but do your research and use the oils you are comfortable with-this DIY diaper cream recipe dilutes the oils which is important when using essential oils on children. When I was done mixing in the essential oils into my DIY diaper cream, I screwed on the lid, and added a really simple label using masking tape. You can get fancy and use washi tape instead. 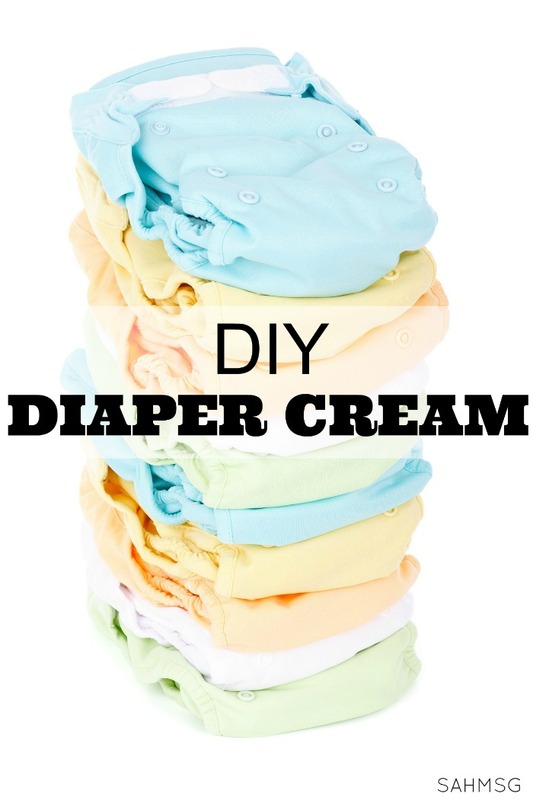 What essential oils would you use in this DIY diaper cream? Check out this idea for making homemade dryer sheets! 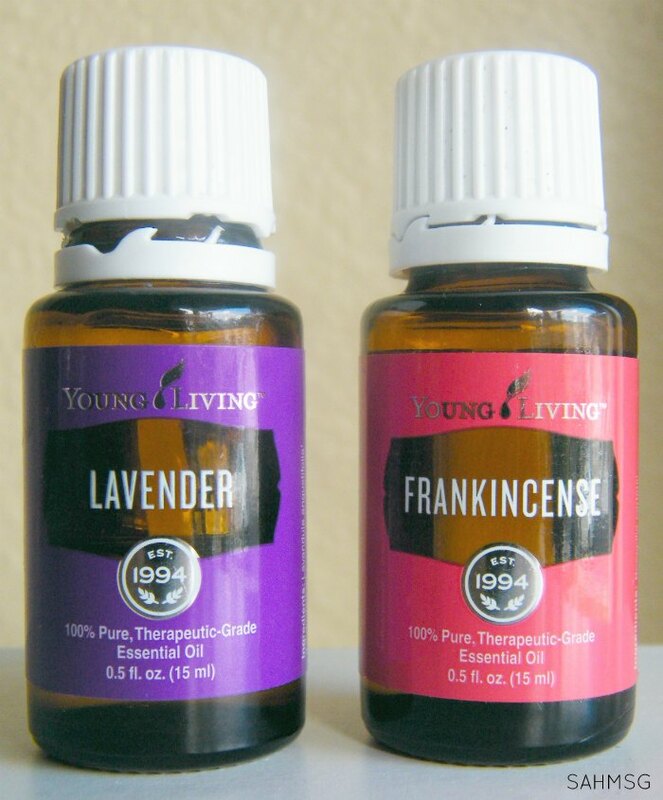 You can buy Young Living essential oils by signing up on this page. 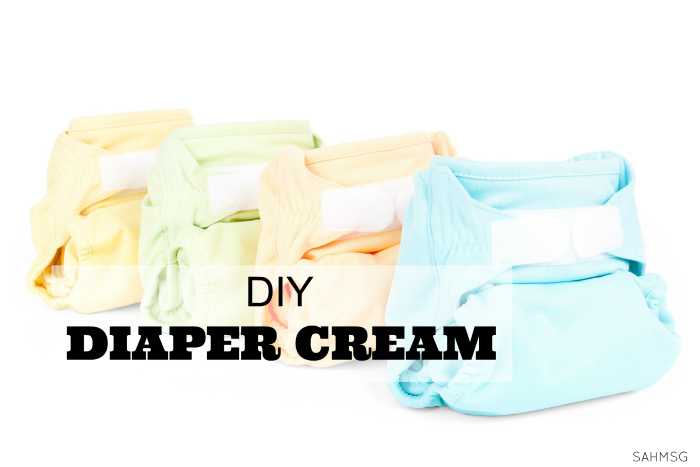 Don’t forget to print out your copy of this DIY All-Natural Diaper Cream. Let me know how you like it!